Updated every hour the most upto date CPSC card machine driver jobs online. Looking for CPCS machine operator jobs in London then please book mark this page as we update the jobs every hour! 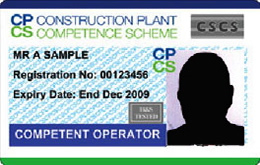 machine driver jobs require a CPCS Card, if you need a CPCS card please click here or if you need to renew your CPCS card click here. CPCS is recognised by the UK Contractors Group (UKCG) and Major Home Builders Group (MHBG), amongst others, as the preferred card to comply with codes of practice for competence and certification. For more information CPCS. We have the latest CPCS jobs in the United Kingdom updated every hour.